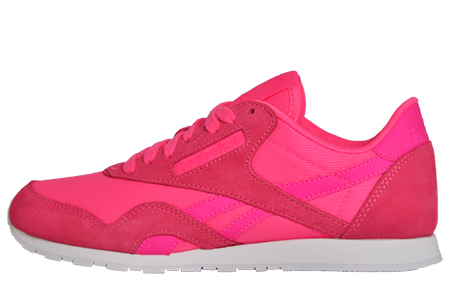 These Reebok Classic Nylon Slim women’s girls trainers are designed in a stylish pink colourway and crafted with both comfort and style in mind, featuring a breathable textile mesh upper in a low-cut silhouette with suede overlays for great street looks. Featuring a non-marking rubber outsole delivering unbeatable traction and grip on a multitude of surfaces thanks to the high-abrasion non-marking rubber sole. 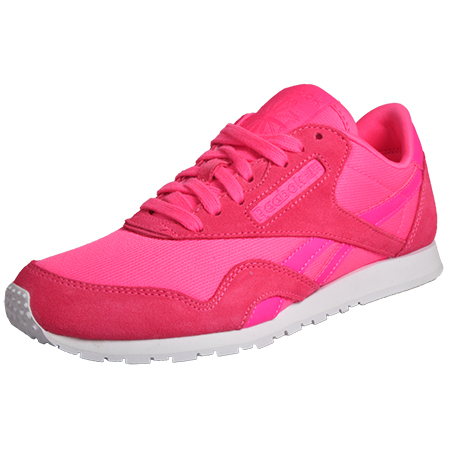 -	Soft textile upper delivers comfort and breathability. 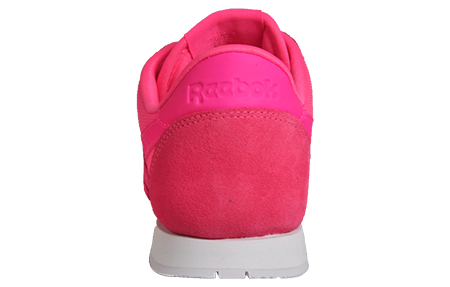 -	Stylish low cut silhouette. 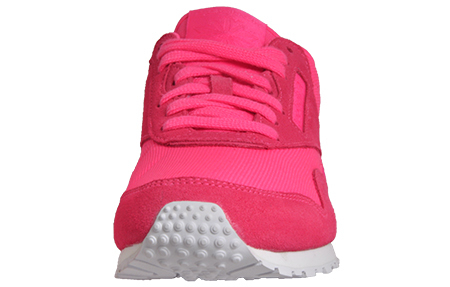 -	EVA midsole enhances shock absorption. 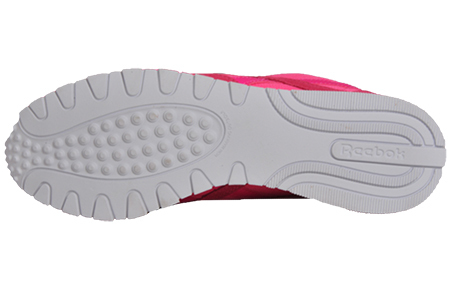 -	Non-marking rubber outsole delivers durability and grip. 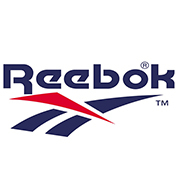 -	Iconic Reebok Classic branding throughout.